Do you have a student with a goal of remaining on-task? Are you in need of a concrete way to share behavior with parents? 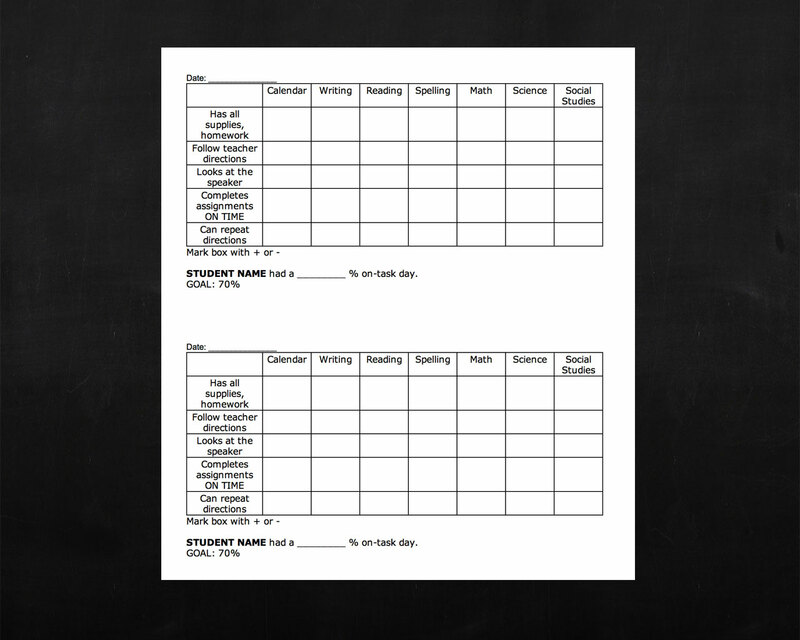 You can easily use this editable word doc template to help you measure progress across their day, to observe which environment or specific behavior to target, or to get a baseline measure. Insert your student’s name and feel free to change subjects or behaviors to fit your needs. This is written for a typical elementary day. Hope it helps! 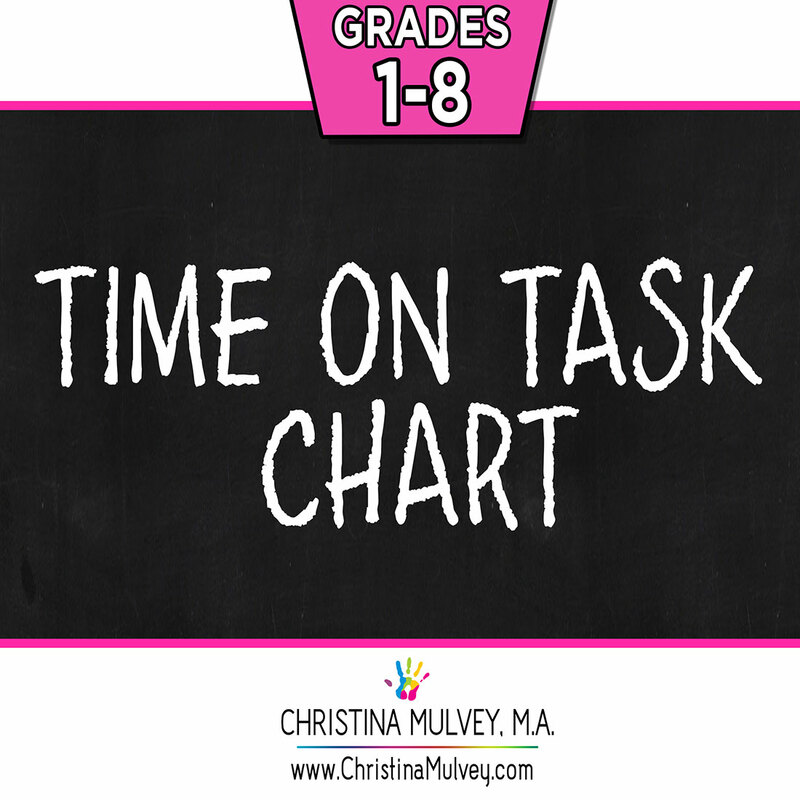 Download my Time On Task Behavior Chart HERE!